Chocolates, flowers, and a whole lot of love—sounds like Valentine’s Day, right? Well, every third Saturday in October you get a second opportunity to show those around you that you love them! 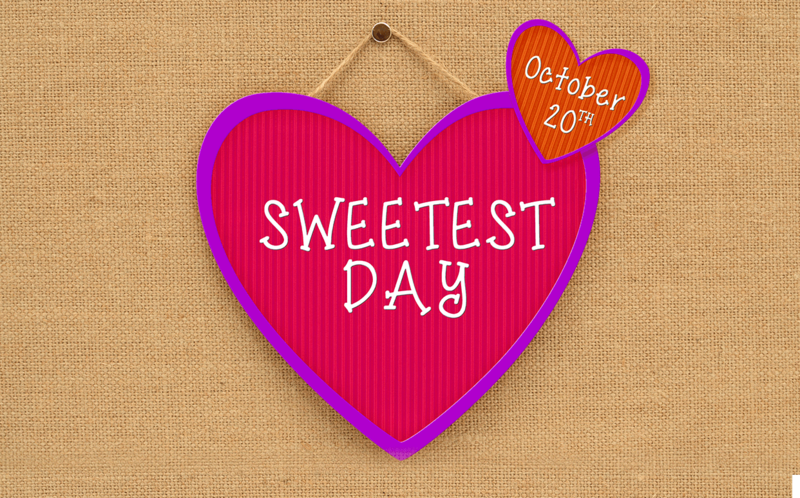 Sweetest Day is a favorite holiday in the Midwest and beyond. Many will buy heart-shaped boxes of candy, a thoughtful card, and a romantic dinner for two, but this day is not only reserved for those you are passionate about. Here are some fun Sweetest Day facts and tips on how to spend this day with your sweetie or loved ones! In 1921, a group of twelve local confectioners in Cleveland, Ohio lead by prominent candy-maker C. C. Hartzell created the holiday as a means to boost candy sales in the middle of WWI. It was first known as “Candy Day,” but to make it less about the candy and more about appreciating loved ones, “Sweetest Day” became the name that stuck. It wasn’t until 1937 that the holiday spread from Ohio and further into the Midwest when The New York Times advertised Sweetest Day in the ranks of Mother’s Day, Father’s Day and Valentine’s Day. Maybe Sweetest Day is news to you, and that might be because not all of the US has caught on! Illinois, Wisconsin, Michigan, Indiana, Ohio, Kentucky, Missouri, North Dakota, South Dakota, West Virginia, and Washington are the eleven official observers of the holiday. Parts of New York and Pennsylvania also mark the occasion. The other 20% of Sweetest Day cards are made for the family and friends in your life that you would like to appreciate. Unlike Valentine’s Day, this day allows you to celebrate love of all forms in your life and not just romantic relationships. Take the opportunity to make this day about exercising small acts of kindness. The love doesn’t have to be spread by store-bought items either—try baking some cookies or making your own sweet treats! If you wish to set aside this holiday for the romantic love in your life, recreating your first date is a fun way to relive the beginning moments of your courtship. Go to that restaurant, rent that movie, or go to the same bar to cherish the nostalgia of your growing bond together. Make a scrapbook with a family member or a friend of all of your favorite captured moments together. This activity can be a heartfelt reminder of how significant your relationship is to one another. Every third week of October is an opportunity to take a moment to reflect on the love you experience in your life with those close to you. Consider how love helps nourish and grow and return the favor with a sweet treat or gesture!